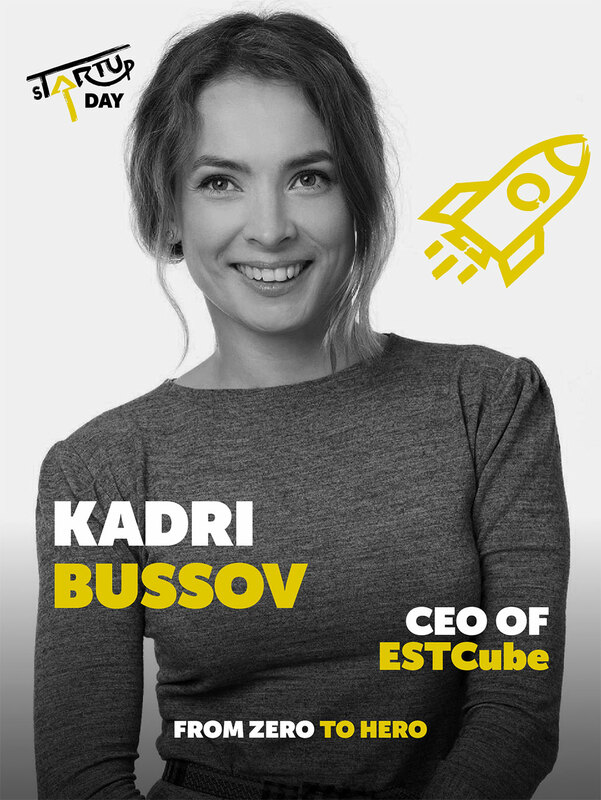 Kadri Bussov is the CEO of Estonian Student Satellite Foundation ESTCube – she is coordinating the construction of the ESTCube-2 satellite. The aim of this Project is to build a 3-unit cube satellite and to launch to the orbit. The concept of the mission and design are done entirely by university students. What choices and experiences have helped you to get to where you are today – how did you get into the field of space? To be quite honest, it happened quite randomly. After leaving my job at a law firm I looked around, participated in different events and hackathons and ended up in a promotional event for ESTCube. And the rest is history, as they say. Although my degree has created some advantages for me and favors working in some fields, then it’s still useful to view the world and jobs with a wider perspective. Most of today’s fields demand a multi-disciplinary approach. Why is now the time for ESTCube to exist? The right time is when you have people willing to contribute. The shortest way to success is step by step. There are no shortcuts in life. What are the biggest challenges and joys of being a leader for you? There are all kinds of challenges. The biggest joy is to see people grow. Since leading ESTCube, I’ve realized the real importance of teamwork and how big of a role trust plays in a team. It’s an extraordinary feeling to see somebody opening up and realizing how much they have to offer. What are your three truths? Failing is one of the greatest things that can happen in life. This means that you tried something new and learned how not to do it. Now it’s time to try again. You have to make time for important things in life – sleeping well, eating properly, physical activity and for the dearest people. The biggest joy is to see people grow. It’s an extraordinary feeling to see somebody opening up and realizing how much they have to offer. What is the future of Estonian space technology and what part of that makes you excited? For Estonia to have a bright future in the field of space technology we need several factors to work for us. It’s useful to be internationally active and to contribute not only in the development of space technology but also to regulations and laws regarding international space companies and operating in space. It’s necessary to support science and education to make it possible. Estonia has already started with it, but there’s a lot more to do.